Patricky Freire stopped Josh Thomson at Bellator 172, earning his seventh knockout victory under the promotion’s banner on Feb. 18 in San Jose, Calif., and that’s exactly what he expected. However, the end of the fight was a bit controversial, as Thomson and “Pitbull” clashed heads seconds before the finish, but the Brazilian doesn’t think it played a big factor in the knockout. “To tell you the truth, I didn’t feel this clash of heads,” Freire said. “I thought it was weird because he closed the distance to throw a combination, I fired back, and he went down. I thought ‘sh*t, he’s already hurt.’ I thought he went down because of a punch. Speaking of heads, Freire finally disclosed the injury that forced him to pull out of a lightweight bout with Derek Campos on Dec. 3. “Feeling better now,” “Pitbull” hasn’t asked for a title shot after win. 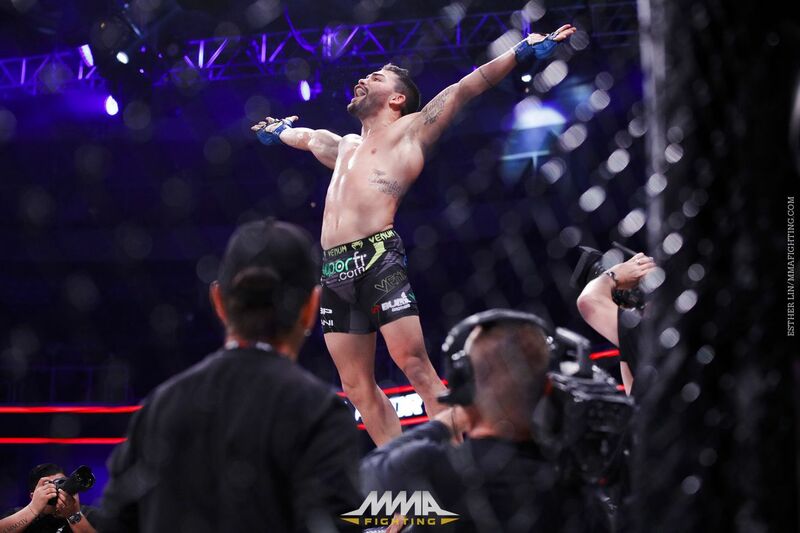 The Brazilian, who lost via first-round knockout to Bellator lightweight champion Michael Chandler back in June, is open to facing him one more time, but leaves the decision in Bellator president Scott Coker’s hands. If he gets a second chance against Chandler, Freire celebrates the fact that he would have a full camp to prepare. Freire says he wouldn’t change anything in the way he prepares for a second bout with Chandler, especially now that he’s training with karate coach Mano Santana. He wouldn’t fight the same way, though.